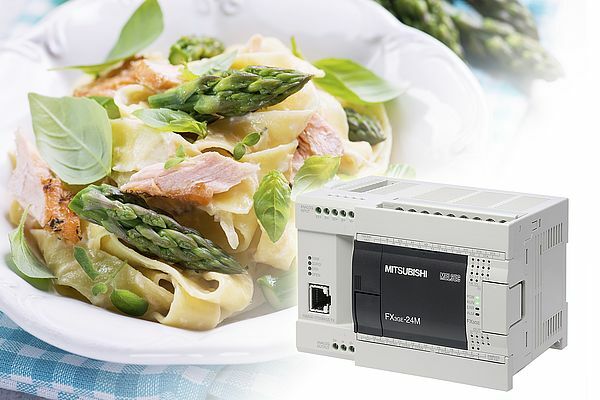 PDX Reactor technology was integrated with Mitsubishi Electric equipment to create a 1200kg plant that produces white sauce in a single-stage process. At the heart of the PDX Reactor application lies a Mitsubishi Electric FX3 series compact PLC, which is responsible for many of the critical processes including the monitoring and control of the temperature and steam. British process and automation expertise has helped one of Japan's largest food producers to cut white sauce production time by 83%, reduce cleaning between batches because there is no burn-on residue and minimise energy consumption. PDX Reactor technology was integrated with Mitsubishi Electric equipment to create a 1200kg plant that produces the sauce in a single-stage process. One of the largest seafood companies in Japan, with processing units in Europe, the US, China and the Middle East, has purchased up to 20,000 tonnes of Béchamel sauce a year from a third-party manufacturer but wanted to bring this production in-house, initially to its Japan plant and then to other locations around the world. Part of the project brief was to ensure efficient manufacturing. The process used by its supplier was in three stages and took 100 minutes to produce 1000kgs of sauce. On top of this processing time was a further 20 minutes of downtime per batch because of cleaning to remove burn-on contamination. 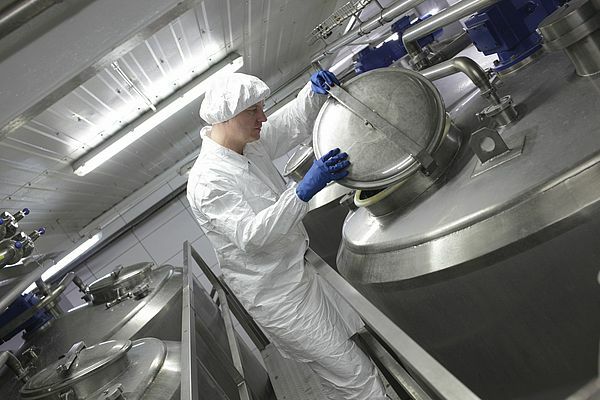 The food producer wanted to improve upon this and soon recognised the revolutionary PDX Reactor steam cooker could be used to meet all requirements. 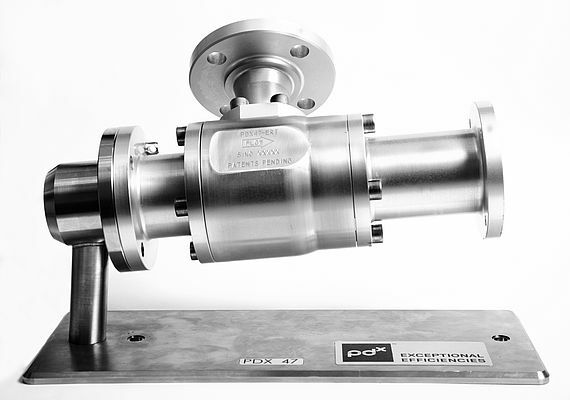 The PDX Reactor is an advanced industrial cooker, which heats, mixes and cooks liquid-based food products, extremely quickly and efficiently, often reducing process time by 50-90%. It is, in essence, a fluid processing system, which can homogenise, mix, heat and pump simultaneously with unequalled performance. The driving force behind the Reactor is a supersonic vapour flow and shockwave, generated using steam. This low pressure energy wave can be used to transport materials and entrain or mix multiple flows. There are no moving parts to clog or block and the unrestricted bore makes cleaning quick and easy. At the heart of the PDX Reactor application lies a Mitsubishi Electric FX3 series compact PLC, which is responsible for many of the critical processes including the monitoring and control of the temperature and steam. The FX3 is a third-generation compact PLC; developed for the international market, it has high speed and high capacity. It can be customised and expanded with up to 10 add-on modules to include special functions, network communications and system expansion up to 384 I/O. Of great significance to the production process were the guarantees that the revolutionary operating process of the Reactor avoids all burn-on of ingredients. This means there is no product loss, no compromise to flavour or texture and no downtime required for removing burn-on residue. There are also significant energy savings compared to traditional cooking methods. The PDX Reactor application used a Mitsubishi Electric HMI (Human Machine Interface) to provide visual information and controls for the operator. This is in effect an entire control console on a single screen, enabling an operator to manage and if necessary to intervene in the application by very easily changing the process data parameters. The HMIs are easily switched from language to language, so are ideal for use in machines designed to be used in multiple locations around the world. The new system has provided several benefits including in-house production to reduce dependency on external suppliers, reducing processing time by 83% to 17 minutes for 1200kg of sauce and reducing operating costs due to energy savings and a more efficient process. Furthermore, the innovative engineering has improved the mixing and allowed a 20% reduction in flour from the recipe with no taste effects. On current volumes, savings of 300 tonnes of flour and approximately 2.1 million litres of milk per annum are achieved. The PDX Reactor technology is now exclusively being engineered in the world wide food & beverage market by Peterborough, UK based Olympus Automation. For more information on PDX Reactor technology visit www.olympus-automation.co.uk.